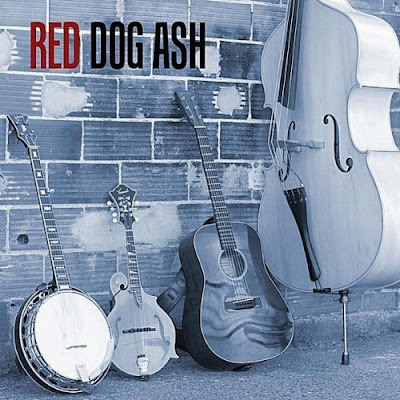 A surprisingly fresh and exciting bluegrass band named Red Dog Ash from central California has crafted a well-rounded, self-titled album that has a touch of old-soul country mixed with classic mountain music. The band has produced all original tracks, and vocalist and guitarist Jason Winfree said Red Dog Ash was inspired by uncontrolled coal fires. The album begins on a winning note with the toe-tapping "Rambler's Mind" and is followed by the terrific "Hey Little Boy" which features blissful bluegrass harmonies. The cut "Clock On The Wall" features laid-back country charm, but the biggest surprise of the album is the upbeat "Long Shot Girl" that features superb instrumentation and sharp vocals. "Once Is Good As Never" begins with a beautiful acappella intro, and the quietly confident "Sweet Rain Redemption" ends the album on a reflective note. This hushed track slowly burns and continues to build intensity leading to lush instrumentation that works on all levels.